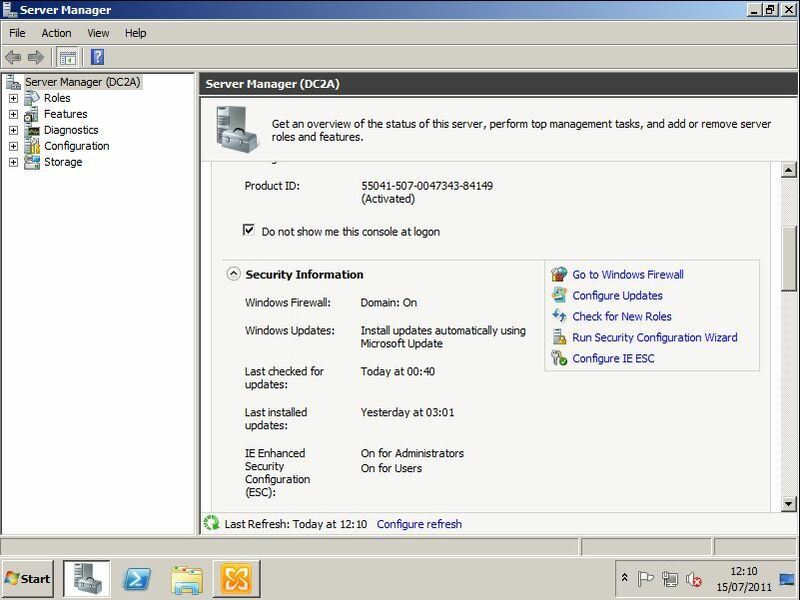 Seen on Exchange 2010 SP1 running on Windows Server 2008 R2. Whenever you attempt to close the Exchange Management console you see the following error. Even though there are no dialog boxes open! Essentially this is a Bug in Internet Explorer 9. To stop this happening you have 3 choices. 1. 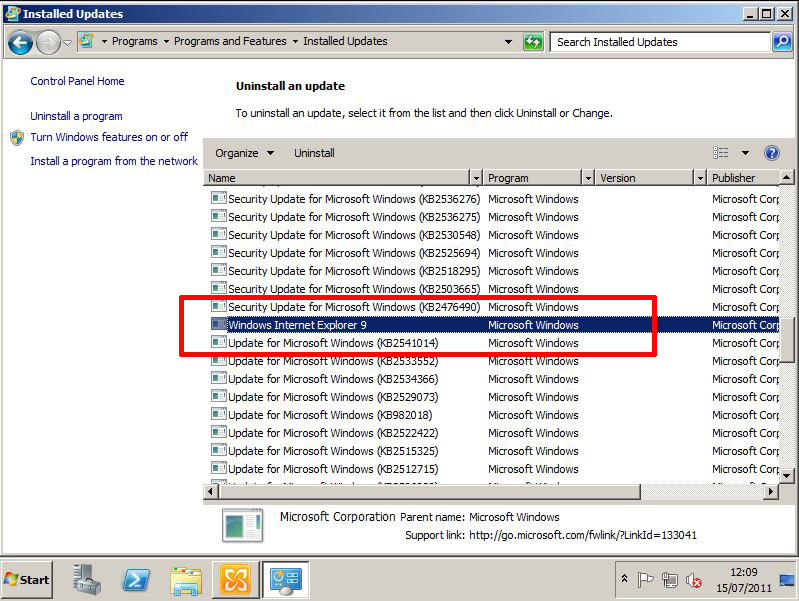 You need to install this security update first. 1. 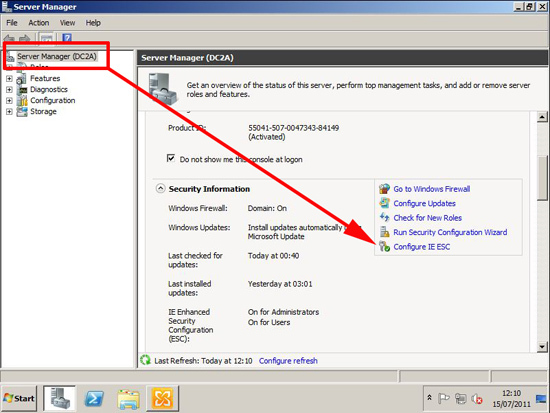 Launch Sever manager, and scroll down till you see “Configure IE ESC”. 2. 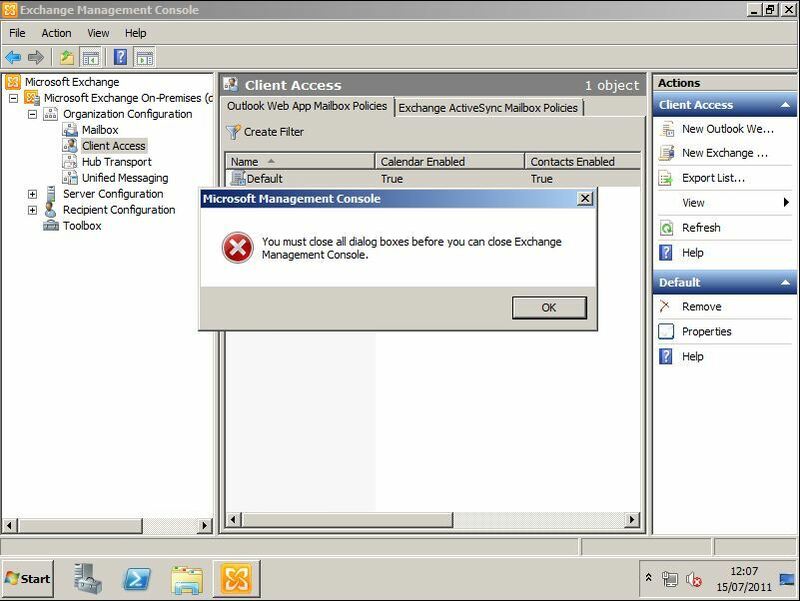 Set IE ESC so that it is disabled for administrators > OK.
3. the Exchange Management Console will now close properly. A Little drastic, but if you DONT want to alter IE ESC, then you need to uninstall IE9. 2. Click “View Installed Updates”. 3. 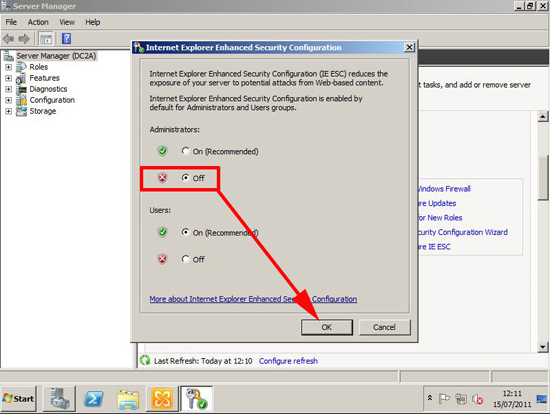 Locate “Windows Internet Explorer 9”, and uninstall it.